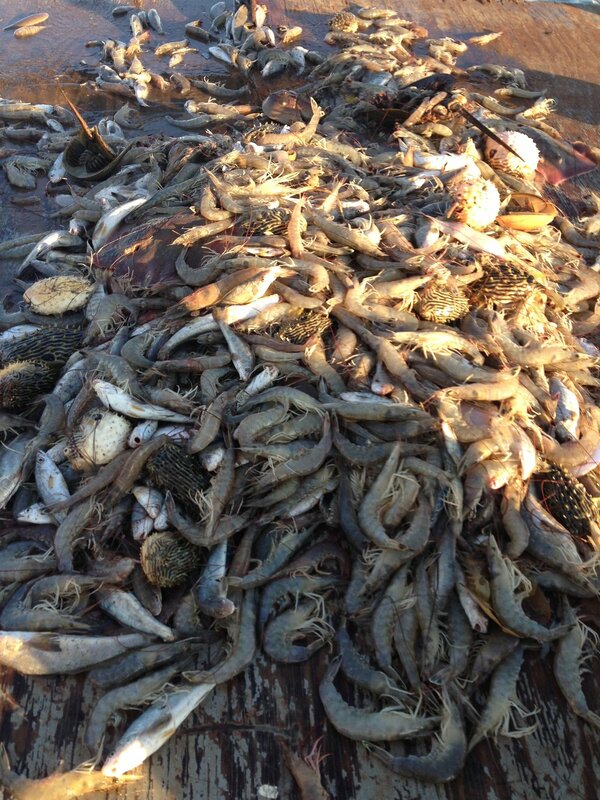 A shrimp trawling experiment off the Virginia coast is bringing fresh seafood to local docks and plates. Patrick Geer, Deputy Chief of Fisheries Management with the Virginia Marine Resources Commission (VMRC), says that the Bay has always been home to small numbers of penaeid shrimp. “There have been attempts in the past to start small commercial (shrimp) fisheries, mostly with pots,” he says, but populations of the species were unpredictable. These days, warmer waters are bringing more shrimp to the Chesapeake from North Carolina, Geer says, opening the door (or net) to a potential shrimp fishery. ”to test the feasibility of catching and harvesting shrimp,” had its first run last year when a licensed commercial fisherman approached the commission hoping to trawl off Virginia Beach. Shrimp trawling has been illegal in the Bay since 1989, but the state oversees waters up to three nautical miles offshore. Geer says the gentleman was granted a Special Experimental Permit, and a second individual received the same permit this year. Their permits allow them to trawl along the coast from Dam Neck Road south to the state line from September 1 through December 31. Both vessels are outfitted with “experimental fishing gear,” “a 16-foot beam trawl equipped with a federally-approved bycatch reduction device,” explains Geer. He says tow times are limited to half an hour. The VMRC monitors trips, takes note of the size of shrimp, and keeps tabs on what’s brought up.